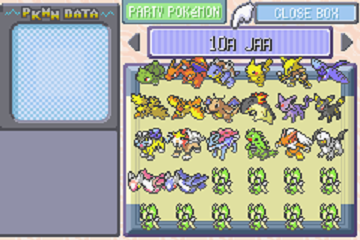 Could somebody put all the english pokemon into storage box 3 and make a code for it? Pokesav English version is to large. Is there a way to resize it? If not, then can you people at Project Pokemon fix it? Okay, can someone make me ARDS codes for the 5 UK 4th Gen event Pokémon for these games: Alamos Darkrai and UK GAME Shaymin for Diamond UK Summer Regigigas, UK Video Game Championships 2009 Milotic and Michina Arceus for Platinum please and thank you!